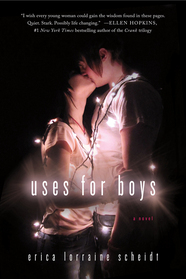 I shouldn't have loved Uses for Boys like I did, given the possibilities for sensationalism and exploitation in the subject matter. Somehow this book evokes Go Ask Alice and the work of Ellen Hopkins--not my faves--yet I still thought it a powerful portrait of a girl losing herself. Erica Lorraine Scheidt's writing is controlled and spare, magical and true. Scheidt thanks YA author Francesca Lia Block, who writes with a similar poetic touch about a similar milieu. Weetzie Bat readers will be impressed by Scheidt's much darker work about girls wearing thrift shop outfits hungering for a good meal or familial intimacy. Scheidt's descriptions, tone, and voice evoked Block's. Their writing shares a lyrical and delicate fairy tale aspect, but I found Scheidt to be much more mature and skillful. I don't want to pick on Block, who I will always have a fondness for as a teenage dangerous angel looking for something real, yet sparkly to read, but Scheidt has the best of Block's sparkle without the long lists of her favorite things and romanticizing of eating disorders. This is a serious book that could have been marketed to adults, similar perhaps to The Lovely Bones. The only attention Anna receives is from boys. She is passive, scared, neglected, and alone. She needs a family but gets a bunch of terrible boys' attention, bullying, and abuse instead. Anna is neglected by her mother, a woman who is only validated by the attention of men, who always has a new boyfriend or husband, who can't get close to Anna. It's hard for me to understand how Anna's mother can so profoundly abandon her after being close to her as a child. The way that Anna is repeatedly failed by adults in his book is infuriating. It seemed unrealistic to me, though I could be wrong and I hope that I am. The plot description does not do justice to Scheidt's writing, which I should also say can be extremely upsetting. I would recommend this only to older teens because of the graphic descriptions of Anna's abuse, relationships, and general alienation. It's triggering stuff, but written with an uncommon beauty. I believe that girls should be prepared for the world and for the possible manipulation and lack of empathy of others without being driven to fear and anxiety. 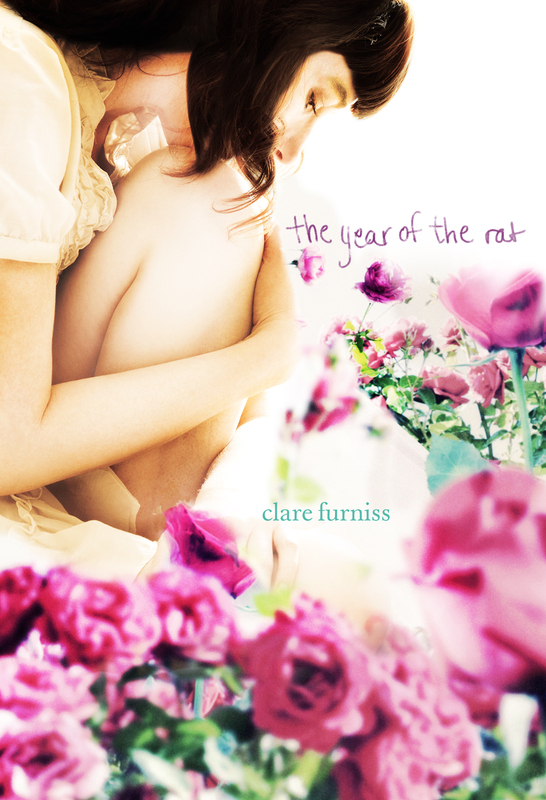 The Year of the Rat, a debut YA novel from the UK by Clare Furniss, is a lovely and wise story of loss. Fifteen-year old Pearl has lost her mother during the premature birth of baby Rose, who Pearl calls Rat. While the story is heartbreaking, it is told with precision and care. Furniss is a fantastic writer who cares about each of her characters. Some of the twists are expected, but the story doesn't end as neatly as one might expect. Despite some near magical realism, The Year of the Rat is quite true to life. My only gripe with it was that I felt that Pearl was failed by the adults in her life. She was very understandably floundering in the aftermath of her mother's death and was often told to stop feeling sorry for herself. As an American reader with a touch of Anglophilia, I did love all the British colloquialisms! I also appreciated that Pearl's mother was a real person, not a saint. The Year of the Rat is highly recommended to teen and adult readers looking for lyrical prose and sensitive storytelling and character development.